sghijabgirl by Nadya Abd: 2012: we came, we raved, we loved. I remember having a conversation with my mum right before I turned 21 last year. "What do you want to do?" she asked and I said, I really wanted to open up a blogshop. I've seen so many girls of other races setting up their own at such a young age and I was continuously blown away by their entrepreneurial spirit. I was so determined, at 21, to try everything I've ever wanted to do. I didn't want to have any regrets. No looking back, just hustle like crazy because I truly believe that pressure will grant me diamonds. I'm going to be honest with you here. Running a blogshop is far from easy. It takes patience, a huge chunk of your time, trips to the post office nearly everyday (but its ok you get to make friends with the staff haha!) and a huge amount of time staring at the screen,replying to a variety of questions. Trust me, not every customer is a friendly one so you've got to grit your teeth and smile through your replies sometimes. Then comes the labels and logos copyright issues. I remember battling this with another blogshop and while I might have been upset, I do believe in being honest and true. Remember that originality will bring you far and that is something, no one can ever take from you. So, please please please remember to label all the photos and logos you worked so hard for. With all that said, it IS worth it. Forget about the income, the experience alone is worth the sweat and tears. I didn't even know how to run one, didn't know anyone who had a blogshop at that time but I began to learn on the job and I had to learn fast. 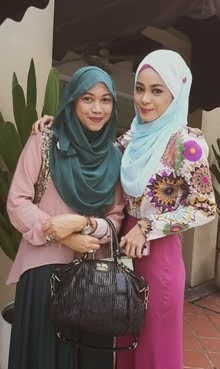 I made friends with other successful blogshop owners like Hanis from Meem Clothings and we have conversations sharing our experiences and how we handle certain problems. I am thankful for she was always so helpful and was always willing to share solutions with me. Its always a roll and I had to keep on going to make sure that I was constantly afloat. In addition, its crazy important to have a good support structure and these are the people who have really proved to love me regardless of who I am when I get so upset and stressed out. These are the people whose opinion matter the most to me when I need help in making decisions, big or small. Others can say what they want but when you know you've got the most bulletproof support system, you're unstoppable. I'm infinitely grateful for them, you know who you are. No words can possibly describe my love for shopsghijabgirl. Some of my customers have become my friends and I love seeing them don on tops, skirts and hijabs they bought from me. It might not be my own label but I am proud and happy nonetheless. 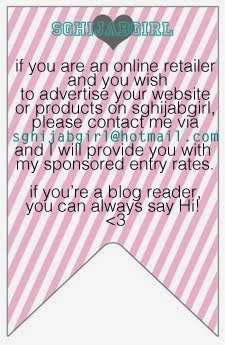 Come mid next year, I may have to bid goodbye to shopsghijabgirl. I'll be having a full time job and it would really be a miracle if I could still run this show while juggling another bigger musical. 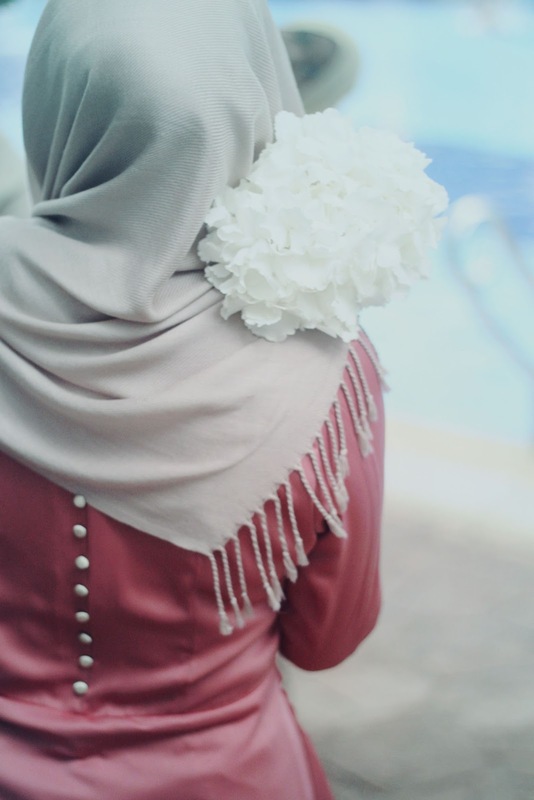 Most importantly, trust and leave it to Allah. Our rezki comes from Him therefore always remember to give back and donate to others. Also, do forgive me for my shortcomings, at times, I'm slow at replying emails/orders and orders get mixed up, do forgive me. This entry doesn't just apply to the girls who want to set up blogshops of course, any mountain you feel like concurring, just do it guys. Don't think too much. Don't be like me and procrastinate till I turned 21 to have the courage to do something I've always loved and wanted to do. You want to start a fashion blog? Do it. You want to learn how to ride a bicycle at 20? Do it. It can be so simple to another person but if its a small hurdle that's stopping you from achieving bigger, epic, things then come what may, overcome it. So follow your heart, find what you love and even if things don't work out, don't sweat cos our priorities are always shifting. You'll find a new thing you love and you'll make it matter cos nobody makes a decision and sticks with it for the rest of their lives anyways. 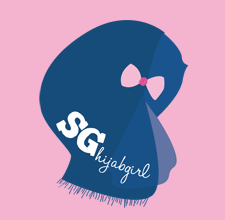 Shopsghijabgirl/Sghijabgirl readers, you've made my 2012 a really crazy but awesome rollercoaster ride and I sincerely thank you guys from the depths of my bottomless heart, for all the support, for the emails, for the suggestions, I take it all with open arms. Till we meet again next year.